One crane among tens standing around the Holy Mosque in Makkah was toppled by gusty winds on Friday afternoon, 11 September 2015. 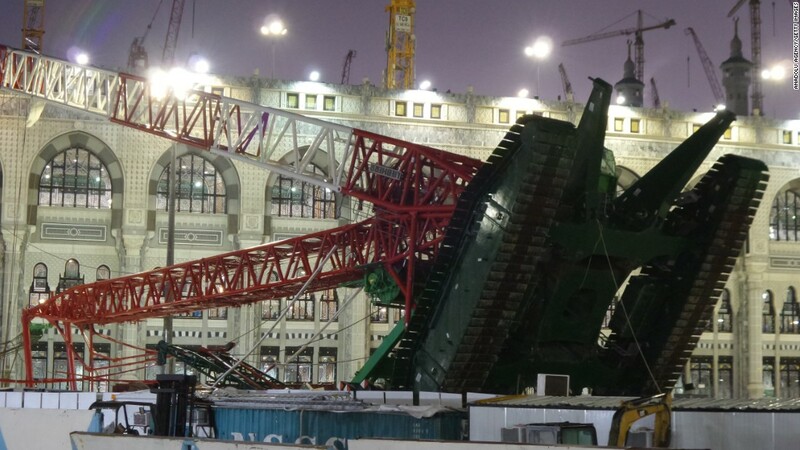 At around 17 pm in the afternoon of Friday, 11 September 2015, a crane was toppled down by strong winds and rain in the area of Masjidil Haram, Makkah. BBC reported that 107 deads were among the casualties. The crane was one of the many that are standing around the Holy Mosque as the Saudi government is currently expanding the area of the Mosque around Ka’bah to accommodate 2 millions of Hajj pilgrims. May Allah protect our brothers and sisters that are performing Hajj this time in Mecca.